A shame this one bombed in the theaters. I think many went in expecting something more akin to a horror or straight out Gothic film, instead getting a detective-type mystery/thriller, so left disappointed. It being a mystery style makes perfect sense, being that Poe is credited with inventing the detective story. Cusack as the soft-spoken, sarcastic, and tortured Poe radiated a quiet passion which crossed to the audience convincingly. They capture his alcoholism at the beginning of the film, but this seems to veer off some later to concentrate on a more romantic role. His ego and complete confidence on his writing and derision on some of his "critics" is present as fact and done well. A small issue was he wasn't convincingly disturbed much of the time, as the story had him at a happy stage in his life that didn't add up to facts. Still, it works with how the plot had to go. One would expect someone with melancholy and madness, so may be disappointed that's not present. Instead an almost over-the-top caricature, similar to Robert Downing Jr's portrayal of Sherlock Holmes. Every other actor did their job well but no one else stood out much in my mind, but their support as a superb cast helped the movie propel to a rushing finale. The movie held beautiful cinematography, rich with fog, bleak lighting common to Jack the Ripper and Sleepy Hollow type films. The pacing was intense as murder has already happened by the time the credits roll, so you're jumped into the mystery following a few set-up scenes. There's some exciting chase scenes, suspenseful nail-biting moments (how terrifying it would be to be trapped in that box, I think I'd end up claustrophobic forever). The mystery is minor and not rivaling Agatha Christie or anything, but the small clues left and the solutions that happen upon Poe's work is thrilling. The flick spews out a surprising amount of gore when violence is shown, especially during the Pit and The Pendulum scene! With the angles of the camera, and each swipe of the blade, it's intensely realistic and brutal. Blood is not held back in a later throat-cutting scene either. Plenty of dare on the part of the director, bringing forth a more convincing gritty, bleak feel that matched the tone of the story and theme. The plot is easy to follow whether you've read or know Poe's work at all. 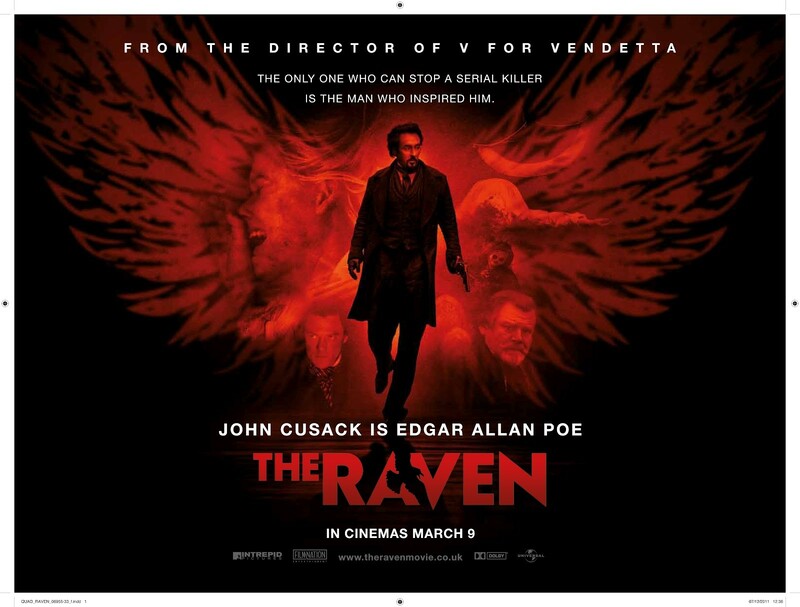 For Poe fans, there will be several pleasing scenes as famous works are often quoted, cited, and reenacted. There will always be a mystery of what happened to Edgar Allan Poe the last stages of his life. It's life as "brain congestion." What this means, I couldn't even guess, especially considering the limits of 18th century medicine. There are theories of tuberculosis, alcoholism, and rabies. He was found wandering the streets in a delirious state, calling out the name "Reynolds." I enjoy how the movie adds pieces of even this in to make sense with the created story, even if its more romanticized than Poe's life credits. Overall this is not a perfect movie, but it's entertaining, thrilling, and suspenseful rush. As an added bonus for us book-addicts, this movie kept showing some impressive, gothic, stylish personal libraries that left me drooling!